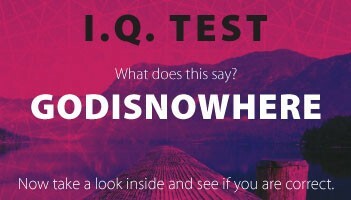 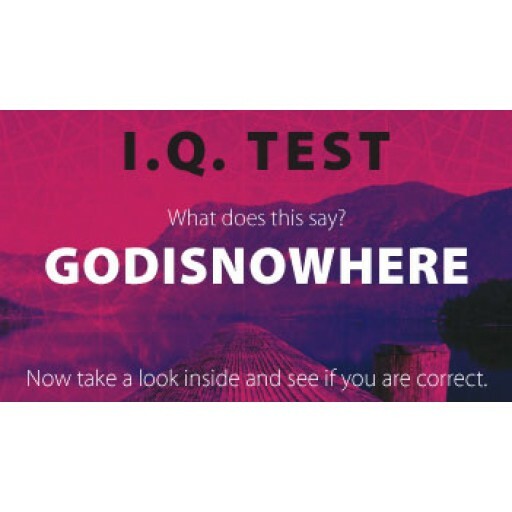 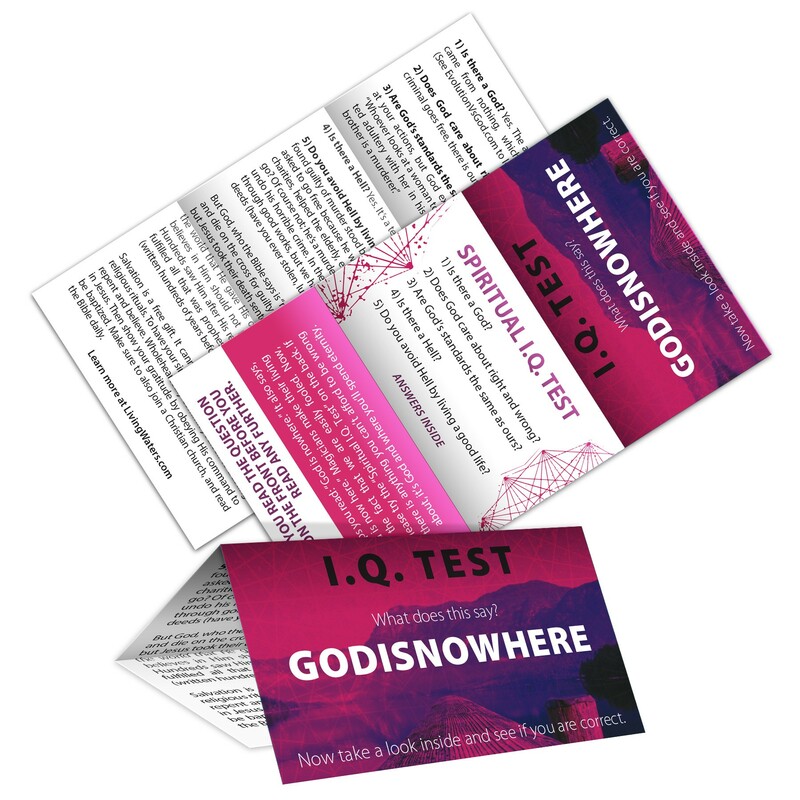 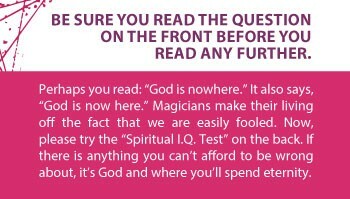 This tract challenges the reader to read the word "GODISNOWHERE" out loud. 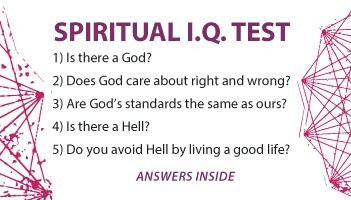 There are two answers and either one allows you to start a conversation about God. 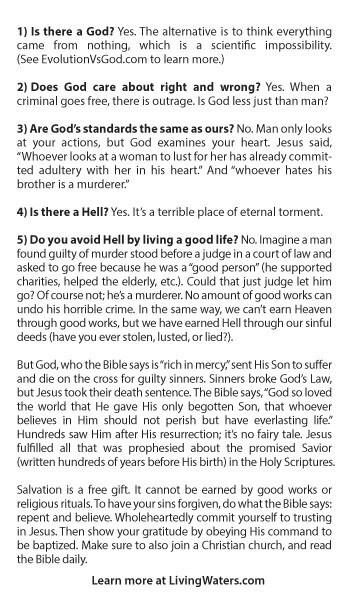 It then asks five probing questions to get them thinking about spiritual things.